When photographing Indian weddings, you sometimes have to improvise to find the very best backgrounds. For this photo, I used a bit of yellow wall just outside the bathrooms at Ziba Beauty to create this wonderful yellow background. While the yellow wall itself was quite small, I used Photoshop to enlarge the wall a bit, thus created a lovely interplay between the burgundy of the bride's wedding lengha and the yellow of the wall. 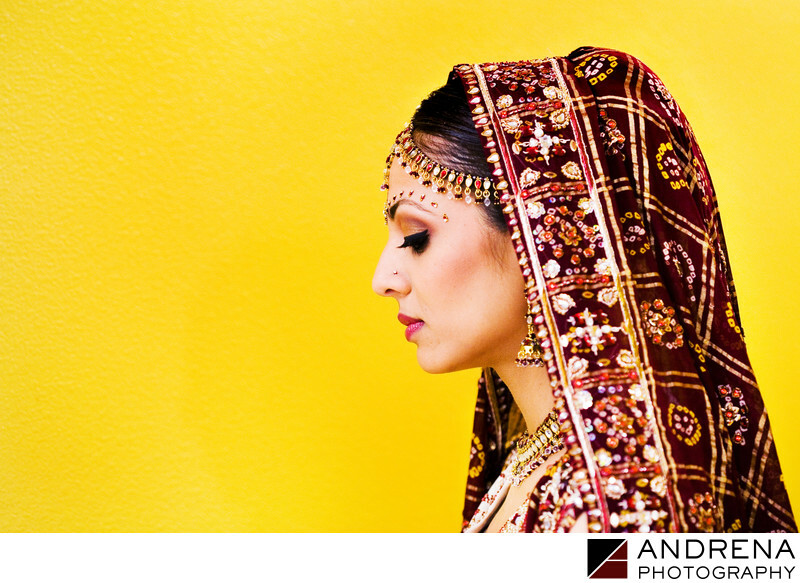 Indian wedding portrait photographed at Ziba Beauty in Artesia, California.